Decked out from door to dock! The newest innovation in waterfront homes is available today in Gasparilla Cay! 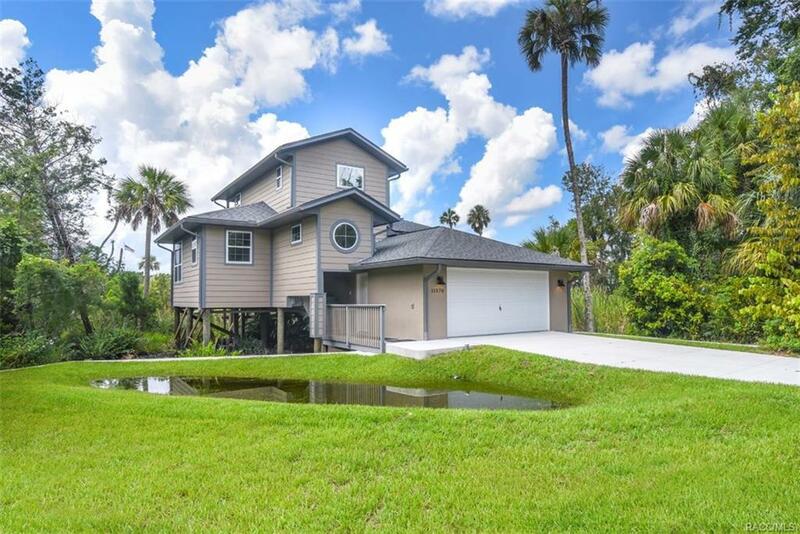 Experience the creative eco-friendly use of 2+half environmentally sensitive homesites located on the beautiful Homosassa River for mankind to inhabit! Built over the natural marsh with exposed pilings that rest on the bedrock below this stylish modern-day bungalow is decked out from door to dock! Surround yourself inside with the warm feel of custom selected palates from durable wood floors (pre-engineered), wood cabinets and stone counters along with the luxurious look of Stainless steel and pendants. Your morning rowing workout has never been so surreal with Dolphin feeding and Great Blue Herons coasting overhead. Evening sunsets on the upper deck will finish off a good salty day on the Gulf or playing in the fresh spring headwaters. WALKING distance to marina and the Chickee huts of the river's newest open-air venue! A resort lifestyle awaits. Directions: Take Halls River Rd To The End, One Street Past Entrance To Riverhaven Village, Turn Right Onto Riverview Cir And Follow Around To The Corner Of Riverview And Rosa Ct.